At Lenz, our philosophy in the vineyard is high-touch. We are interventionists and we intervene, at great cost in time and effort, to micro-manage each vine to ripeness each year. Leaf removal, shoot thinning, cluster thinning, crop reduction, triple catch wires, super-attentive pest and fungus control (our ‘open canopy’ approach keeps fungus problems to a minimum), all combine to add cost (unfortunately) but to ensure fully ripe grapes of the highest quality. Established in 1978, the winery has three vineyard plots with a total acreage of about 70 acres planted to nine different vinifera grape varieties: Chardonnay, Gewürztraminer, Merlot, Cabernet Sauvignon, Cabernet Franc, Malbec, Petit Verdot, Pinot Gris, and Pinot Noir. Of these, the principal red variety is Merlot and the principal white is Chardonnay. 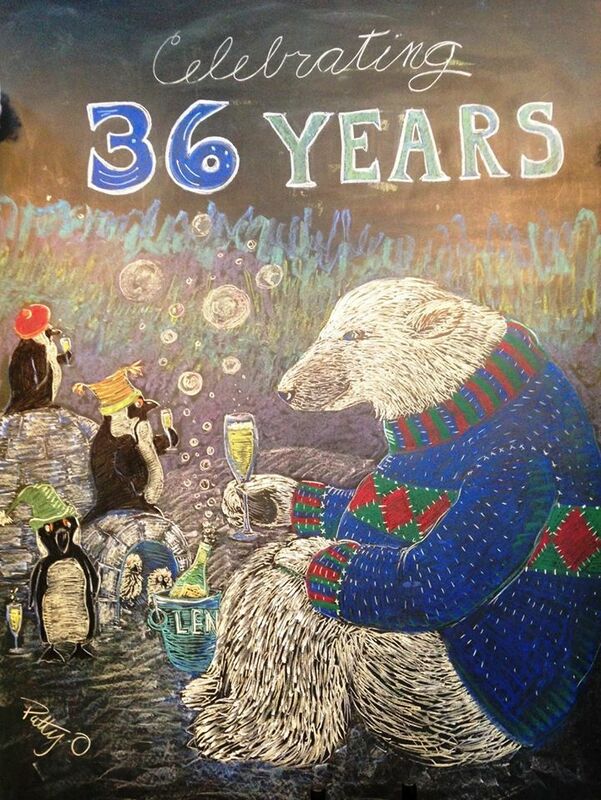 Bearing in mind that the original Lenz vineyard is over thirty years old and came under new ownership only in 1988, when Peter and Deborah Carroll purchased it from the original owners, Patricia and Peter Lenz, the original vines of Chardonnay and Merlot are among the oldest on the island. 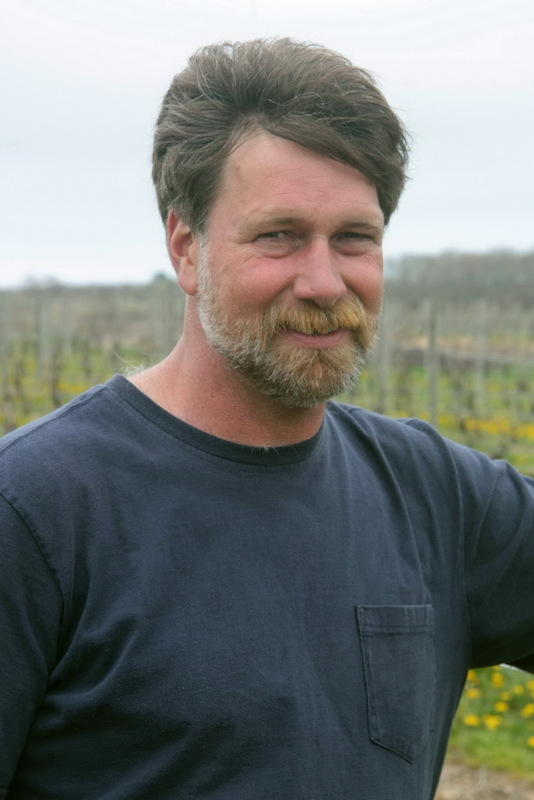 Sam is an affable, direct, and very knowledgeable farmer, with a degree in horticulture and with long experience in the business of growing wine grapes. 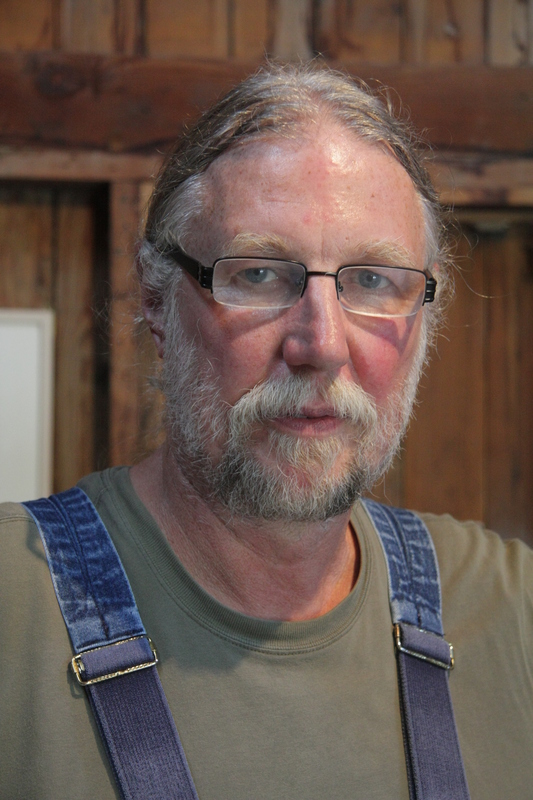 He is not shy about saying that though the Lenz vineyards are farmed as sustainably as possible, when there is a need for using conventional farming methods he’ll not hesitate to employ them. The reason is simple: there is too wide an array of fungal and other pests to rely entirely on biodegradable or organic means of control. With respect to herbicides, he prefers to use what he calls pre-emergent controls so that stronger ones are not needed later in the event of an outbreak. The same is true of the fungicides he uses: low-impact controls for prevention, but will not hesitate to use copper and sulfur when infections do break out. It is because of this that he makes no claim to running a sustainable-farming operation, but is rather a conventionally-farmed property that tries to be ecologically low-impact where possible. I am not opposed to organic viticulture or biodynamics. I am indeed skeptical that it is possible to consistently succeed at producing vinifera grapes in our climate without the use of synthetic chemicals and I am in no position to try it. I do not disdain or ridicule those making the effort. I wish them success. I do believe, and strongly, that it is quite possible to use conventional agricultural methods responsibly and safely: safe for the environment, the farmer, farm workers and the consumers of our crops. I believe conventional farming to be safe and economical. Without conventional farming, the 2% of our nation’s population who are involved in agriculture could not feed the country with production to spare. Those who wish to use alternative methods that avoid the use of synthetic pesticides and fertilizers are free to do so and I wish them success. The popular hysteria so easily incited by the mention of pesticides and food is unfounded. However, those who wish to consume naturally-produced foods and can afford to do so constitute a lucrative market. 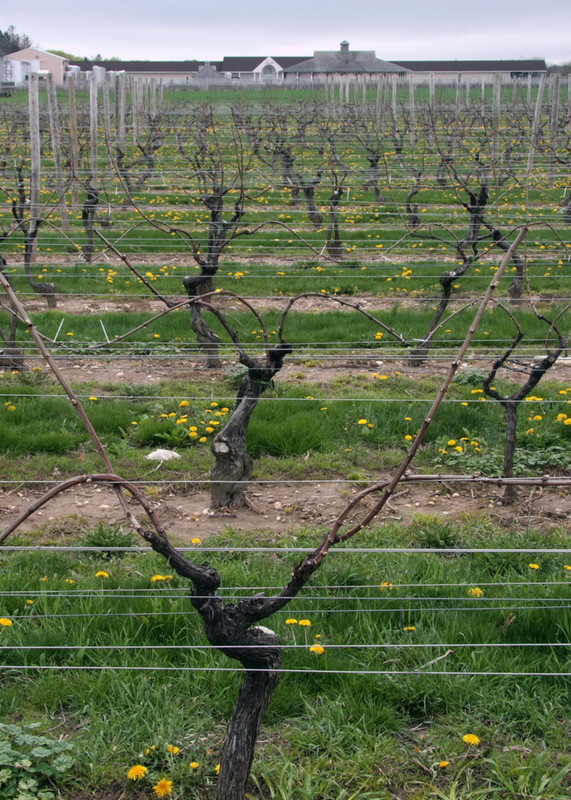 Thus, to the extent possible Lenz employs “green” practices in the vineyard, such as the use of self-seeded cover crops between rows so that there is considerable variety in the flora and fauna of the soil. These, of course, are a natural habitat for insects that are predators of many vineyard pests such as aphids. The crops also include plants that return nitrogen to the soil, encourage earthworms to propagate, and generally keep the soil healthy. Nevertheless, while he prefers to use pre-emergent herbicides to control pest plants, he will use Roundup to control weeds within the vine rows proper when necessary, as he considers it to be highly efficacious and of low environmental impact if used sparingly. So too with pesticides—he uses Danitol, a wide-spectrum insecticide/miticide that is essentially a synergized pyrethrin that is especially effective with grape pests such as the glassy-winged sharpshooter, the grape berry moth, and others, but will also use Stylet oil, which is biodegradable, as well. Sam tries to use dry farming for the three vineyard plots and therefore has no irrigation lines permanently threaded into the rows of vines as is the case at some of the other wineries (not that those irrigate at times other than drought either). He finds that if there is a need to irrigate, it’s easy enough to bring the irrigation lines into the vine rows as needed, Furthermore, he explains that given the problems with permanently-installed irrigation lines, such as leaks, breakage, blocking of the lines, and so on, he really doesn’t think that it’s worth the expense, especially since irrigation is only needed once in every three to four seasons, when there is drought. So too with machine-harvesting vs. hand-picking the grapes. Rather than use a large and expensive machine such as that employed by a few other wineries, Lenz removes the grapes with a tractor-towed harvester. He notes that hand-picking clean grapes can cost around $100 a ton; hand-selecting while picking grapes can elevate the cost to about $200. By using a towed harvester with an attached selection table and a man or two to pick out the detritus—leaves, stems, bad grapes, insects—he can keep costs low and still have the advantage of selected grapes. Actually, some varieties are better off being hand-picked, due in part to the thinness of the skins, and that is the case for the Lenz Old Vine Cabernet Sauvignon. These are, after all, 36-year-old vines, which are able to produce more concentrated, flavorful fruit than can young vines, though they are rather shy bearers. Sam works closely with Eric Fry, the winemaker who has been at Lenz for 25 years. When Sam first came to Lenz in 1990 the two “butted heads” at the beginning, but they now have a very effective relationship. It is, after all, for the winemaker to decide when the crop is ready to harvest, and both men agree that the kind of ripeness that they are looking for in the fruit can only be tasted, not just measured for sugar levels with a densitometer or looking at phenolic ripeness. It must taste just right to be harvested—this is experience, not science, at work in this instance. Because they collaborate closely on the timing of the harvest, which includes deciding which parcels and which varieties to pick first—at optimum ripeness to the taste of the winemaker, ultimately, the estate grapes are ready to be made into wine not only for Lenz, but for several clients that do not have their own vineyards or winemaking facilities. These clients (not all of them in Long Island), buy their grapes from parcels set aside for them by Lenz and are then made into wine by Eric according to their style specifications. He also works closely with several local vineyards to help make their fruit into wine at the Lenz facilities. So, for example, when Eric works with clients, some of whom have collaborated with him for years, he tries to get them to take his advice. He feels that wine should be held for at least two years before being released to market, but not all of his clients see things his way—at least not at first. When he makes a Chardonnay, be sure that the wine is not just made from the Chardonnay grape, pressed, fermented in steel, and bottled—a simple, straightforward, and possibly excellent wine. That’s not Eric’s way. He seeks complexity, and a Chard may be, as he says, 5 % of the wine may be “keg fermented” in 15-year-old barrels, with perhaps a little M-L (malo-lactic) to add more character, but not so much that it makes the wine buttery, as a full M-L may do to a Chard. It imparts more complexity, but in the background. You can’t taste the oak, you can’t discern the M-L, but you can tell that the wine is complex. He went on to say, “With different wines I use different yeasts on purpose and get different characters on purpose, but most of all the concept that I have is, if whatever yeast you’re using or whatever you’re doing, if the fermentation sticks you’re screwed. So what I do is I use yeasts that are dependable, that will not screw up, because if they screw up, everything’s out the window. All the wonderful nuances you’re looking for, they’re gone. Eric is also something of a provocateur, so he asked me what I thought about the concept of terroir. I said that I considered the idea of terroir—as conceived by the French—to be something real and that affected the wine made from grapes grown in a particular place. To which he replied, “Terroir is BS, strictly a marketing gimmick. It’s all about marketing.” He then offered me a glass of wine of which he was very proud: the first botrytised dessert wine made at Lenz in the twenty-three years that he’d been winemaker there. Usually botrytis only produced gray rot, something to be avoided and which needed to be controlled with fungicide, but last year the conditions were unique, and the botrytis that settled on the Chardonnay grapes appeared when the grapes were very ripe, the early-morning humidity would burn off as warming sun rose in the East, and violà, a rich and delicious botrytised dessert wine at 73° Brix. When I pointed out that this happened in most years in the Sauternes region of Bordeaux, which surely was an expression of terroir, Eric was dismissive, “Well, whatever.” Provocative, indeed. With respect to organic viticulture Eric feels, again, that it is mostly a matter of marketing rather than making a better wine. Sam was a bit more philosophical about the matter of terroir, suggesting that its influence may be exaggerated but that it shouldn’t be entirely dismissed out of hand. And, after all, I would like to point out, it is what is done in the vineyard by human intervention, whether by using one kind of trellising over another, say single vs. double Guyot, or vertical shoot positioning or something else, how often the vines are green-harvested or not at all, the use of sustainable practices such as crop cover or biodegradable pesticides, and even the use of a recycling tunnel sprayer for pesticide agents, that are all part of terroir. This, of course, is a broad definition of the term; the traditional definition is more narrow and confines itself to geographical/geological/climatological issues of soil, climate, slope, drainage, aspect to the sun, etc. Thus, both Lenz wines and the client wines benefit from the careful, practical, and highly professional care that is given to the grapes in the fields from which they are made. Then there is the thoughtful care that the wines get in the winery itself. These are crafted wines, not “natural” ones. The result can be tasted and Lenz wines have often been compared—favorably—to great European wines; for instance, the Lenz 2005 Old Vines Chardonnay held its own to a Domaine Leflaive 2005 Puligny-Montrachet “Les Folatieres,” while a Lenz 2002 Old Vines Cabernet Sauvignon tied with a 2002 Château Latour at a blind tasting held at the great Manhattan restaurant Le Bernardin in April 2011. These comparative tastings have been held every year since 1996 and always pit Lenz wines against French equivalents—not California ones, for the Lenz style is closer to that of France than the West Coast. The Lenz Website has a list of these blind tastings and the results. I can attest to this personally with a blind tasting that I conducted with friends in 2012, comparing a 2007 Meursault-Charmes 1er Cru with a 2007 Lenz Old Vines Chardonnay–they all guessed that the Lenz was the Burgundy wine. And to think that such results come from a Long Island vineyard . . .
For further reading, Fry and his wines were written about by Eileen Duffy in her book, Behind the Bottle (Cider Mill Press, 2015). Profiles on Sam McCullough and Eric Fry by John Ross can be found in his book, The Story of North Fork Wine: Historical Profiles and Wine Country Recipes (Maple Hill Press, 2009). Jane Taylor Starwood, former editor-in-chief of Long Island Wine Press, featured Lenz Winery in Long Island Wine Country: Award-Winning Vineyards of the North Fork (Three Forks, 2009). Philip Palmedo and Edward Beltrami discussed Lenz in The Wines of Long Island (Amereon House, 2000). This entry was posted in Vineyards, Vinification, Viticulture, Wineries and tagged East End of Long Island, Eric Fry, Lenz Winery, Long Island Vineyards, Long Island Wineries, North Fork AVA, North Fork Wineries, Organic Grapes, Organic Viticulture, Peconic, Sam McCullough, Sustainable Viticulture, Vineyard terroir on 30 December 2014 by JoseM-L.
Another great post. You’ve brought a depth of coverage that is hard to find anywhere else. Thank you very much for this very interesting post. Can’t wait to see who you cover next. Dave, I very much appreciate that you recognize what I am trying to do–provide the most complete coverage of LI wineries possible and to have my readers consider my blog as a reference. To keep the posts current I periodically update them when there is new information. I visited your Web site and found it intriguing, but as it is a club of limited membership I was unable to see what the range of wines is that you offer. I’m curious to know if you offer any library wines as did Empire State Cellars. At this point we have a slightly different model than ESC did. First off, we are not a retailer and we don’t have a storefront. We only have memberships to our clubs. Second, we totally focus on Long Island wines. Though there are excellent wines throughout New York State, we are not currently covering any wineries beyond Long Island. Truthfully, there are so many great wines being produced on the Island we are not able to share them all with our members so expanding beyond Long Island would make that problem even worse. Because we are not a retailer we do not have any library wines. Because of the price point of our club we focus on the introductory wines from most of the wineries. At $90 for 4 bottles of wine each month the average price being paid is $22.50. This gives you a sense of the types of wines you will receive. We are considering creating a club that features higher-end wines; we don’t have a launch date for this right now but hope to expand our offerings soon. We look at the club as a great way for people to learn more about Long Island wines and decide which wineries they prefer. We expect that people will probably drop our club and sign up for one or two wine clubs from the wineries they love once they have tasted the wines across a number of winemakers. We firmly believe that Long Island wines are among the best in the US (and the world) and the more people learn about them the more they will want to seek them out and drink them. We are looking forward to being a part of this awakening.